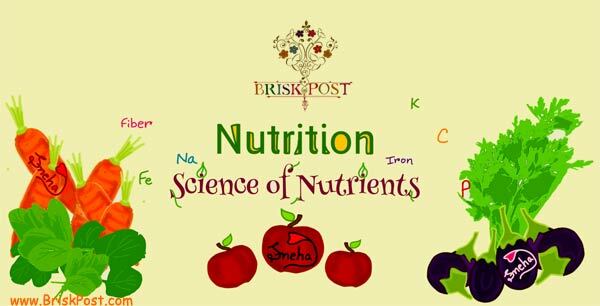 Nutrition science of nutrients helps in identifying the nutritional value of food! What is nutrition for you? Some say nutrition is all about protein, vitamin, iron and carbohydrate; for some, nutrition is 'an apple a day'; some find this term connected to healthy food, and some do not even bother about what does nutrition mean. Most of us understand that nutrition is an important aspect of any food or diet, but do not pay attention to 'why' and 'how much'. Most of us are aware that nutrition is not a term to take lightly, but when it comes to incorporate this awareness in preparing the eating plate, the spirits and motivation go into oblivion. Nutrition is not merely a term to appreciate; it is science with facts and figures about ‘what you eat’ and ‘what you should eat’. 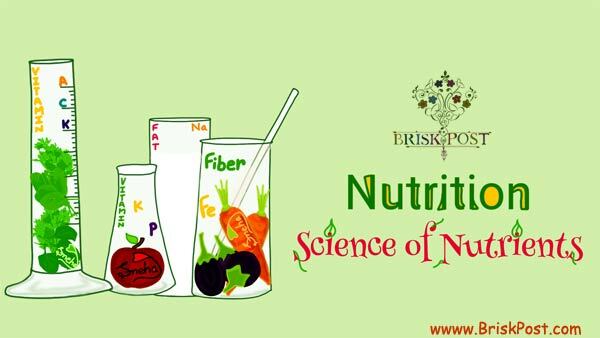 This article is to give an overview to all those who know or don’t know about nutrition so that everyone can realize the significance of 'science of nutrients'. Let’s grasp the must have knowledge about nutrition and value the treasure of nature with new sight. What nutrients and other substances a food has? How those nutrients and substances interact in a food? What reactions happen with those nutrients in food? What are the consequences of those interactions and reactions? So, basically Nutrition Science of nutrients suggests the effects of food's nutritional status (Nutrition Facts or Nutritional Value) on growth and disease free life, which can be said an ideally healthy life. One of the most important and useful benefit of nutrition related knowledge is avoiding Malnutrition or Nutritional Imbalance, which occurs due to supplying insufficient, extra or imbalanced nutrients. Many people, who skip their meals on the continuous basis, also face health issues due to nutritional deficiency. Check out 15 Unknowingly Invited Diseases: Know What Skipping Meals Causes to Body. Proper nutrition means correct, adequate, and appropriate (suitable as per person) nutrition. Supplying a body with right amount and quality of nutrition supports the growth and development of children. The ultimate effect of good nutrition is shown in economic growth advancement and poverty eradication. Human nutrition belongs to the supply of essential nutrients to the body for leading life with good health. A person can survive without food or nutrition for just about 40 days, which also depends on various factors like consumption of water, pre-stored fat in the body, mass of muscles and some genetic factors. The term nutrition involves the complete set of nutrients such as carbohydrates, proteins, fats, vitamins, minerals, etc. These nutrients are made of various chemical compounds such as water, carbon compounds, amino acids, fatty acids, nucleic acids, etc. The chemical compounds are made of many basic elements such as carbon, oxygen, hydrogen, nitrogen, calcium, nitrogen, iron, magnesium, zinc, manganese, etc. The above chemical compounds and their elements are found in human body in various combinations and forms such as vitamins, hormones, hydroxyapatite and phospholipids. Salad, fruits and leafy vegetables which are rich in nutrition values as per science of nutrients! The food and waste are analyzed for an extended span of time. The above-mentioned considerations help in determining the compounds and elements which are absorbed and metabolized by our body. The nutritional studies that are done in human nutrition science, involve high number of variables in the experiments. The studies are considerably time-consuming and highly expensive which makes the process and growth of this science pretty slow. The nutrition science involves the studies to understand why and how different dietary aspects influence the growth and health. It also put light on the relationship of diet with health and diseases. The nutrition term involves the range from optimal health to malnutrition. The prevention and alleviation of many diseases or symptoms can be seen through involvement of better or good nutrition. If nutrition word is taken in reference of food or diet, it can be seen as the combined entity of nutrient units. Or for easy understanding, all the nutrients make nutrition as whole. When someone says you need to take nutrition, it means you need to supply yourself all the nutrients in balanced and right amount. Nutrients that are Dietary Constituents of a Healthy Nutritious Food can be seen in two forms. A food or diet that incorporates the nutrition, that is, macro and micro nutrients in correct amount is considered as healthy food or healthy diet. Check out the Ideal Healthy Diet Chart with 9 Breaks for Entire Day for supplying your body the needed nutrition!